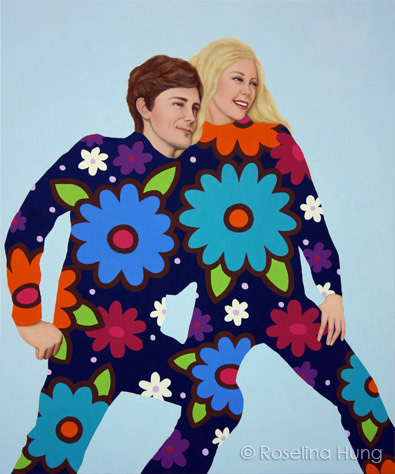 This body of work presents a series of paintings based on the concept of false nostalgia, combining visual elements from popular culture of past decades. 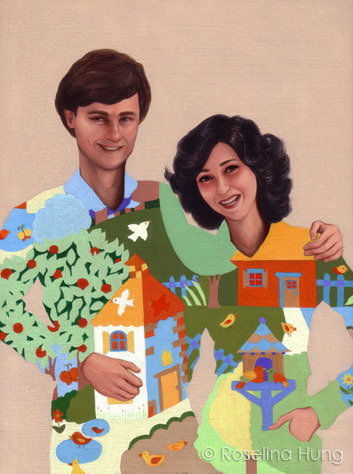 Growing up in the 1980s as a Chinese-Canadian, I was surrounded by the Western mass media’s idealized representations of love and family of bygone years. As a result, I often find myself longing for a past that was never mine. 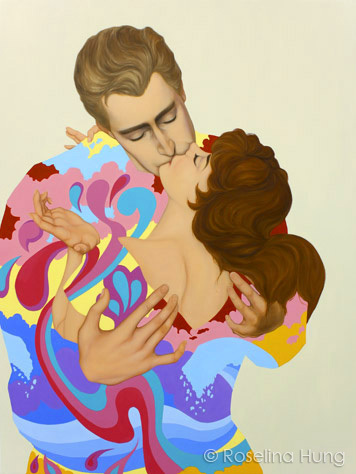 The Summer Romance series looks at sweeping romantic love through multiple layers of nostalgia. 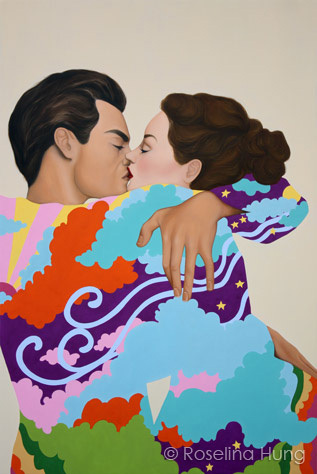 Romantic depictions of summer loving are imbued with references to pulp romance novels of the 1940s and 50s with psychedelic patterns evocative of the 1960s. These iconic images of love have been imprinted in our collective memory. 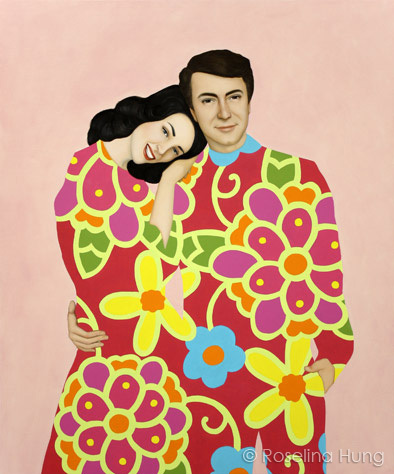 The Mom & Dad portraits focus on couples as portrayed in advertising and the mass media of the 1960s and 1970s, specifically department store catalogues. 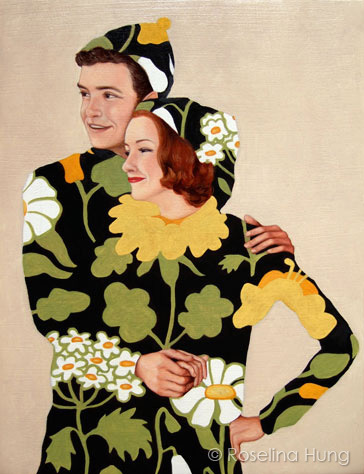 The matching his and hers clothing has been transformed into a singular body of blooming flowers. 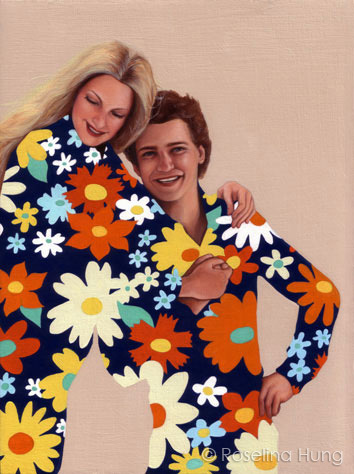 No longer two separate individuals, the idealized parents now appear as one unified whole. Wish you were here! 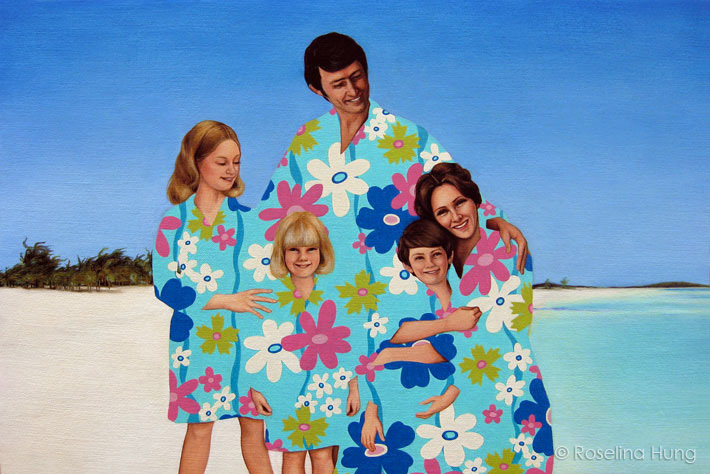 focuses on the idea of family, referencing the 1970s Sears catalogues and 1980s retro television shows depicting the picture-perfect family. 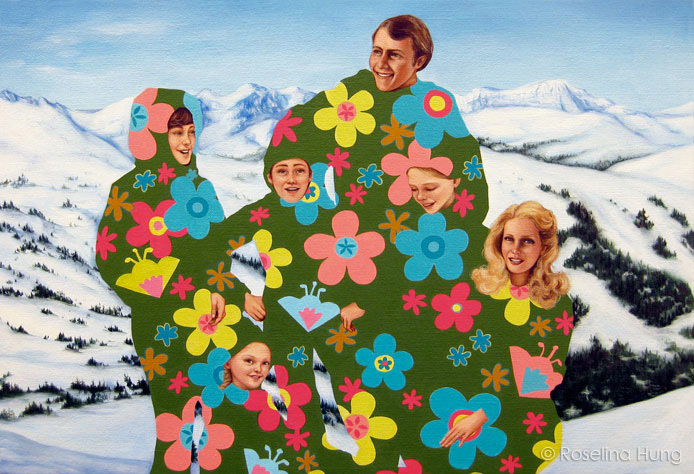 Set against backgrounds both reminiscent of family vacations and studio backdrops, the happy family unit has an uneasy appearance as a multi-headed fantasy wrapped in a singular pattern. 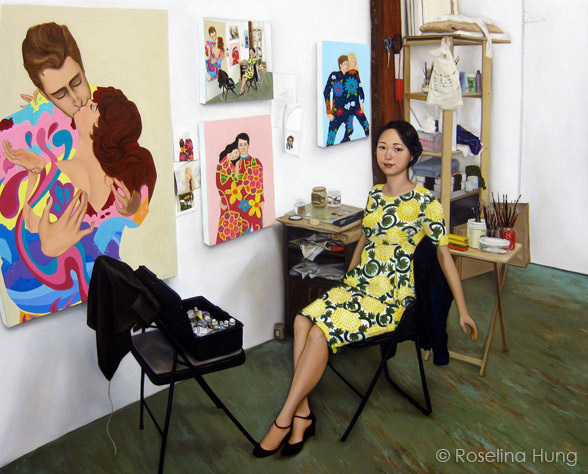 Coda: Self-portrait in the studio is the conclusion of a year’s work for my first solo exhibition. 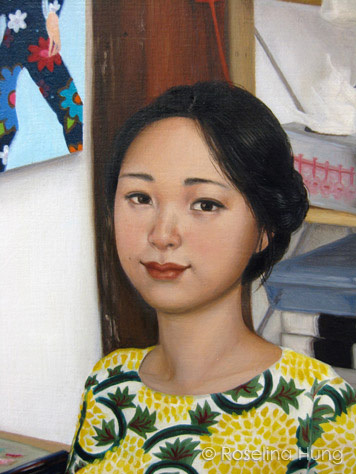 The painting combines my larger work with my continued interest in miniature portraits. 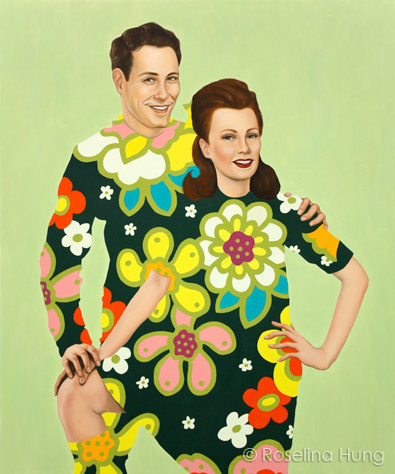 The image is also steeped in art history and contemporary art references, weaving together the past and the present.